Sweden is a country with highest migration rate in reference to population. As a result there is a lack of half a million apartments as well as the public utilities. In the coming years swedish authorities plan to build at least 100 thousand flats each year. 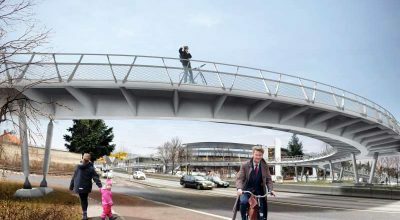 Construction boom in Scandinavia has become an opportunity for building materials manufacturers, such as Pekabex, which entrusted last year Scandinavian Express with entire logistics for construction sites in Sweden. How did we preform? 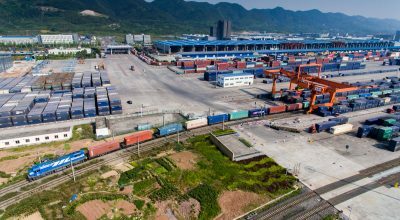 Handling construction sites is quite a challenge for Logistics Supplier. Just in time deliveries, tight schedules, lack of storage areas and difficult access to the Sites, work&safety regulations. Continuous adjustments and updates in orders which need to be included on-line in the transportation process with reference to effectiveness and cost efficiency. “Capricious” Baltic Sea to cross on the way. Successful logistics in such conditions would not be possible without close cooperation and process integration with Customer, dedicated tools for communication and special team of project coordinators. 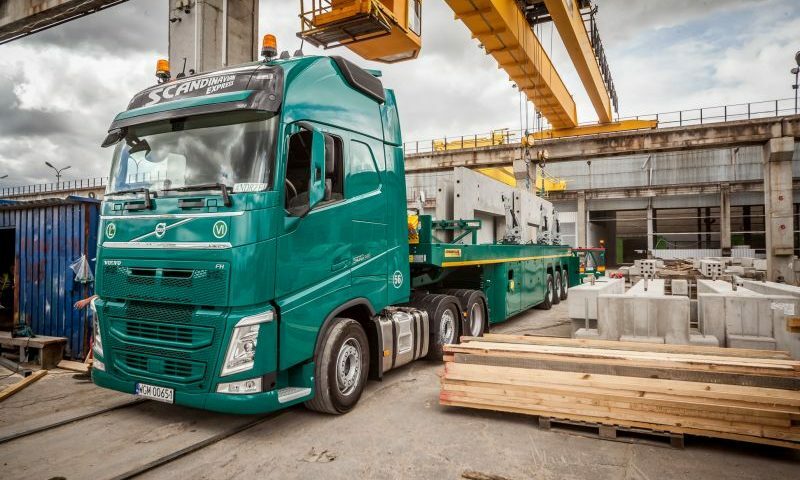 One of the relevant elements of our performance became dedicated equipement – Inloader type trailers. 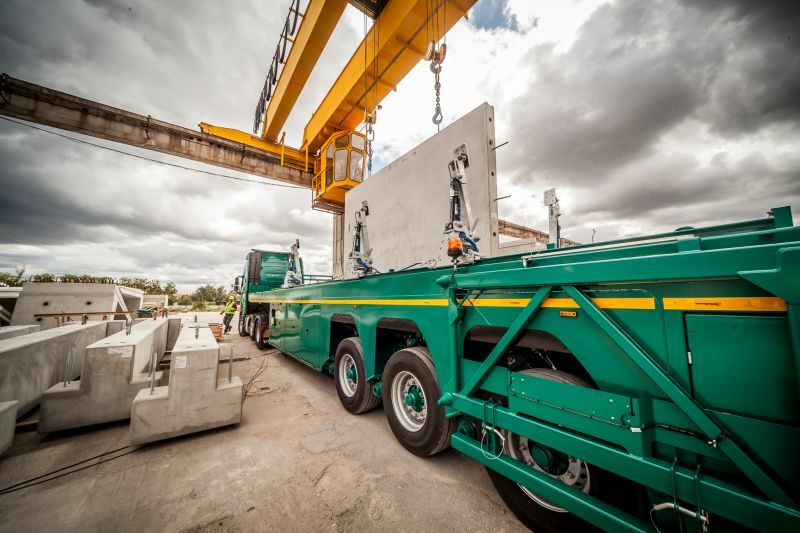 This kind of trailer allows efficient, safe loading and transportation of prefabricated walls up to 4,20m high. 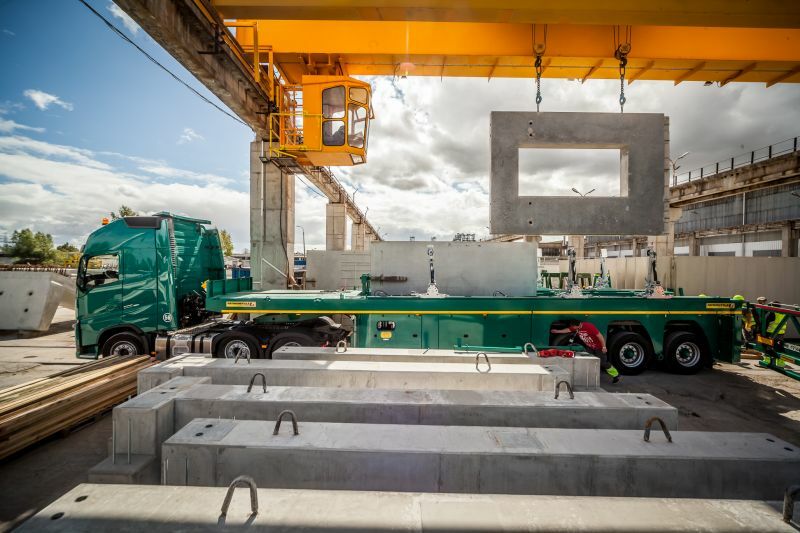 Transportation of prefabricated concrete structures become our next field of expertize (after steel constructions and reinforcement steel) in building branch logistics. 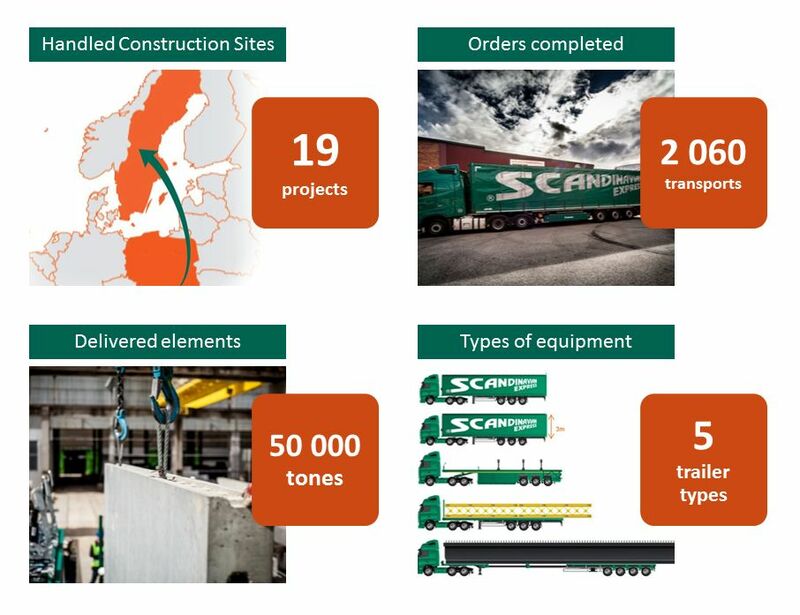 Currently Scandinavian Express provides one of the largest Inloaders resource on the market (both own and subcontracted) which guarantees required capacity for growing building branch in Scandinavia.